Sheep Scanning | Sheep & Cow scanning, Scanning av får. Sheep & Cow scanning, Scanning av får. Sheep scanning is a very simple operation no different to running a flock of ewes through a race. Our machine runs on a 12 volt battery that gives us the flexibility to scan both indoors and out, in rain or shine, anywhere on the farm where there is a set of yards. No special preparation is required. It makes no difference if the ewes are woolly or just off the shears. A few hours off grass is about all that we ask. Overnight in a short holding paddock is also sufficient. We offer to draft your ewes up to three ways off the end of the scanning crate at no extra cost if required. Probably the most important job is marking the ewes at scanning. This can be done by using an approved spray marker or with raddle. The length of time that the marks need to be visible will determine what product is used. Some spray markers can cause health problems due to the fumes. If using spray it needs to be remembered that over spraying will only result in a very upset wool buyer. Spray spreads. We have been using Ceemark marker from Rurtec since 2003. This has proved to be very effective. Not only does it last for a long time it is also completely scourable​. 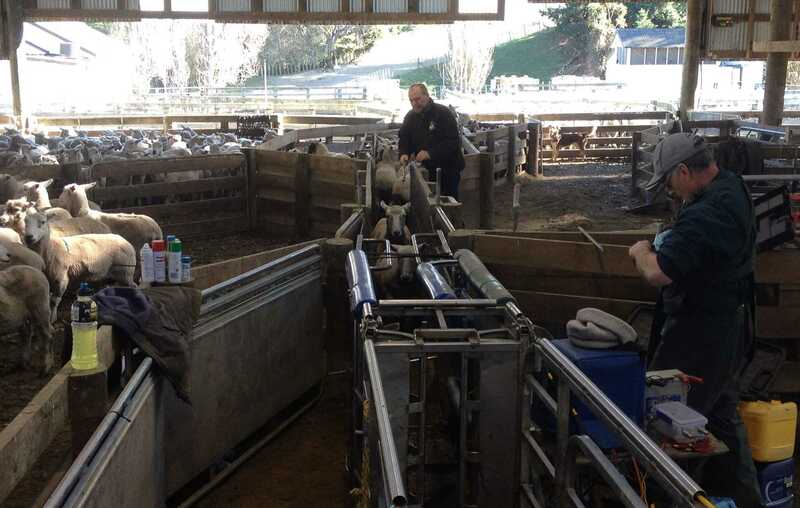 Drafting the ewes into there empty/single/twin-triplet mobs off the end of the scan crate without marking can be done although this is not generally recommended as the risk of getting a box up will negate the benefits of scanning.